Raw goats milk cheese with a firm and buttery texture. Started by Juan de Dios this small business, run the Balanchares family, has been making Sujaira since 1996. Their cheese is made in the small village of Zuheros up in the Sierra Subbetica Mountains near Córdoba. After draining the curds are pressed into traditional, basket-shaped moulds giving the rind its distinctive herringbone pattern. The cheeses are then aged for 3-4 months before release. A firm, raw milk goats‘ cheese with a pleasant balance of acidity, cream and bitterness. Classically Sujaira is paired with the fragrant, local flavours of rosemary. 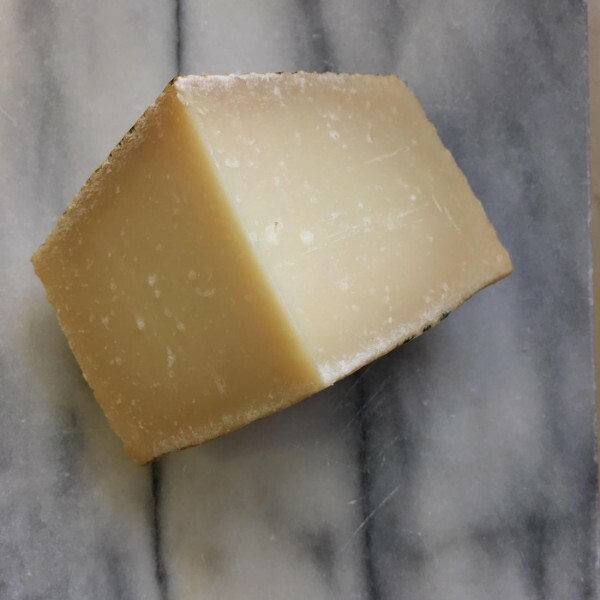 Membrillo (Spanish quince jelly) is produced in a nearby valley also and pairs exceptionally well with this cheese.